Starting out her career two years ago, Trisha C. envisioned Enterprise as a company where she could have a long, fulfilling career. After taking part in the Canadian Women in Leadership Forum, she gained a new perspective about the opportunities that lie ahead. “I was inspired and my eyes were opened to all the career paths available in our company,” says Trisha, Branch Manager in Burlington, Ontario. 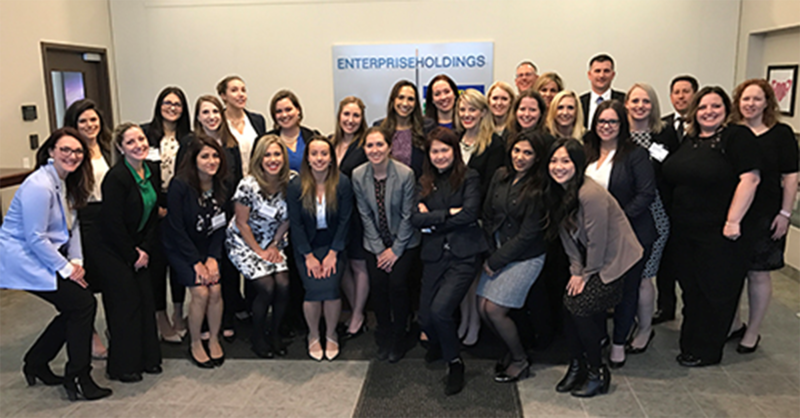 The Canadian Diversity Team sponsored the Women in Leadership Forum, which gathered 22 female leaders from across the country in Toronto. “We wanted to bring this exceptional group of women together to educate them about possible roles, give them the tools they need to excel, and help them develop their own people for promotions,” says Margi D., AVP of HR. The event included presentations on relocation benefits, the business case for diversity, interviewing skills, maternity leave policies and more. Women who moved to take on different positions in the company shared their personal experiences at the forum. Panelists talked about how relocating has benefitted their careers and personal lives. “It enriches you, being able to live in different areas of the country – or the world – while advancing your career,” says Katie. Another key takeaway from the conference: Getting the word out. All participants were encouraged to bring what they’d learned in Toronto back to their local teams.